Throw the Melvins, L7 and Alunah into a food mixer and then gulp down the delicious results. Ex People’s elegant mix of electronic noise and waspish, sludgy riffs is brilliantly purposeful and thoughtful. 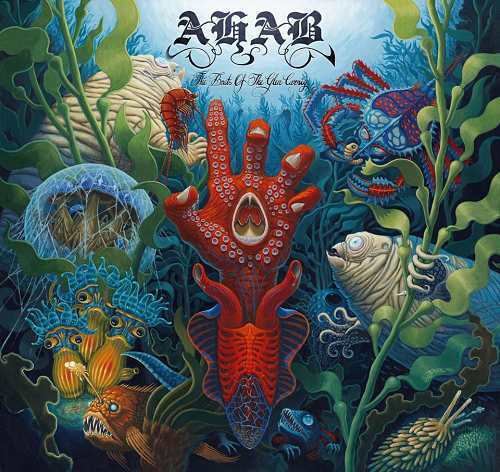 If listening to fellow Brits Alunah is like hugging a mushroom while wearing a velvet cape, then the Ex People experience is akin to gnawing the rust from a long-abandoned office chair while drinking rum. The three-track debut EP from these lo-fi Londoners is simple, nasty and bleak – and yet clearly lovingly assembled. It is understated and accessible without ever relinquishing its stark originality. A slow, relentless groove underpins the band’s fresh and modern take on doom metal. Gorgeous female vocals, replete with engaging lyrics and loveable choruses, drift over the top of fuzzy guitars that corkscrew into your brain, never more so than on the opening track ‘The Erlenmeyer Flask’ (everyone’s favourite flask, right?). Middle child of the trio ‘Jersey Devil’ sounds like early Sinead O’Connor doing the nasty with The Obsessed, with a dandruff-like sprinkling of Nirvana at their heaviest and most dejected. The song drifts off a bit towards the end, while the vocals lose some of their earlier authority, but this remains some cool and fascinating stuff. Finally, ‘Pilot’ sounds the most “occult” of the three songs, initially pretty repetitive but hypnotising and developing into a curiously satisfying dirge. This EP is a gut-busting kangaroo kick of lucid, expressive and effortlessly effective new doom. Hopefully, Ex People retain their blissfully unsullied candour during a long and miserable career. The long-established New York doom outfit have provided this free, two-track download as a teaser before the release of a new album later in the year. Recording was started in September 2014, but a fire at NY’s Audio Playground halted production for a while. It’s definitely been worth the wait. The title track is a marvellous example of twisted prog-doom, providing a gloomily intriguing platform for the keyboard-tickling skills of Craig Rossi. Thanks to his fancy swooshing, as well as an epic vocal performance, this bold and intense song becomes a potent mix of Amorphis, Candlemass and slithering Asphyx-style death. The second track is a little more hit-and-miss, lacking the focus and power of its partner in slime. But this little teaser features some intoxicating stuff, suggesting that the next album from these grizzled US misery veterans should be a blast. Seamount are a bewildering proposition. At various points during this, the band’s fifth studio album, you get melancholic AC/DC (‘Beautiful Sadness’), bouncy 80’s soft rock (‘No One Knows’) and random punk-lite (‘In The End’). The album kicks off like a mid-80s Black Sabbath, with a dollop of Judas Priest, and it seems immediately clear that Seamount, three years after the oddity of the ‘Earthmother’ album, are returning to their roots – namely: melodic, classic doom rock. ‘Can’t Escape the Pain’ ups the doom dosage, with a little Danzig-style drama for show. And then, proving that guitarist Tim Schmidt has lost none of his ability to concoct powerful riffs, the title track is a right hook of raucous stoner metal. Things seem to be going in the right direction. And they get better still. Despite the overt sentimentality of its title, the song ‘Scars Of The Emotional Stuntman’ possesses musical subtlety and dexterity, drawing upon The Obsessed to re-establish that typical Seamount sound, if such a thing truly exists. But just when the doom is beginning to take hold, there is a problem. ‘Hold Up The Sun’ is a hateful, cloying brain-fart of a love song. It’s like watching someone with a mental disorder being mocked on a TV talent show. Life with Seamount is never dull, and even when you stumble across a song that you think simply doesn’t work, you know that there’s gong to be another twist around the corner. And so it is that the groovy hooks of ‘Bulletproof’ try to get the album back on track, but the damage has been done. 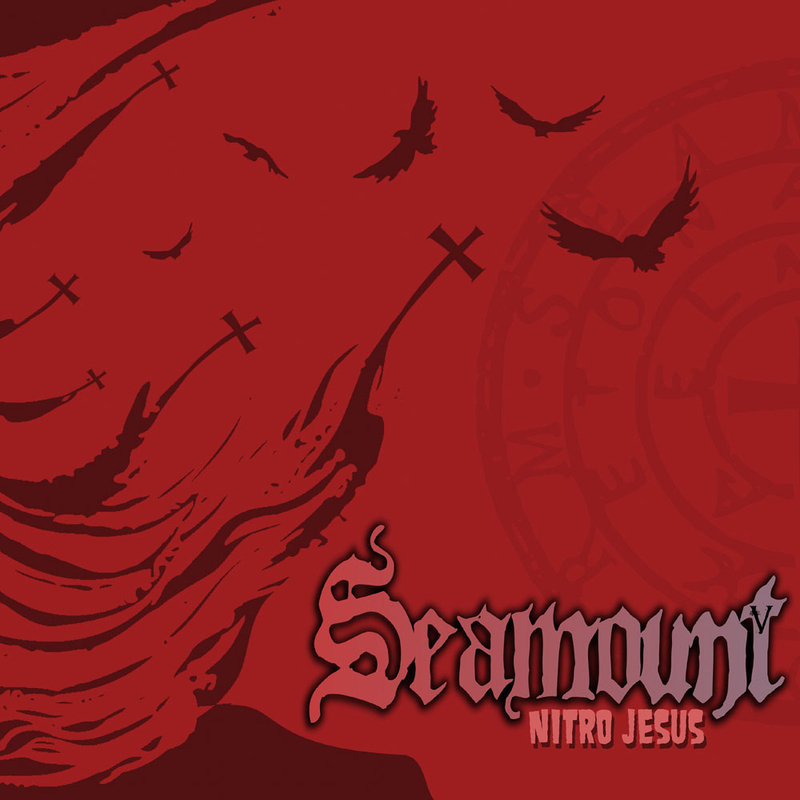 The second half of the album trundles onwards, pretending nothing happened… but it did happen, and in truth there are other sections on ‘Nitro Jesus’ that fall short of excellent, from the plaintive vocals of Phil Swanson to the heart-on-sleeve confessional lyrics to the occasional so-so riff. The good outweighs the dodgy, but it’s hard not to be distracted.